How Do You Coach and Change the Abrasive Personality? They’re intelligent and skilled, but an impatient, inflated ego damages their ability to lead and communicate. Objective, data-driven feedback is the only mechanism that can get their attention. “Dr. Alexander” is an extremely competent neurosurgeon with aspirations of becoming chief of neurosurgery in a top-tier academic medical center. As you might expect, he is highly intelligent, analytical and capable of cutting to the core of a problem quickly and accurately. But he also expects the same from others and has little patience for those who don't fit his mold. The fact that he often is intellectually one step ahead makes him impatient with others, causing him to miss subtle but important signals in his interpersonal interactions. As a result, his conversational style can be dismissive and domineering. If you ask him, he will tell you that he is a good communicator. In reality, the opposite is true. His competitive instincts lead him to treat differences of opinion as challenges to be debated and won. As a colleague recently said, "Dr. Alexander hasn't found a subject yet that he isn't an expert on." And while he might not always be right, he's never wrong. It rarely occurs to him that his opinions might be incorrect or incomplete. Instead, he focuses all of his attention on trying to expose flaws in other people's ideas or arguments. Alexander's mercurial temperament compounds his problems. In a meeting he can conduct himself in a very professional manner, then suddenly lose his composure and denigrate or belittle someone who disagrees with him. Ironically, he will rely on exhaustive data and careful analysis in making medical decisions, then make politically naive comments or vent his anger with no thought to the social or political consequences. The result is a person whose capacity for analysis and problem-solving is not at all matched by equal skill as a physician leader. RELATED: How Do You Mentor a Narcissist – or Is It Even Possible? Alexander is a classic case of an abrasive personality − someone whose grandiose and interpersonally insensitive personality alienates those around him. A major reason for their abrasiveness is that these personalities have a strong and very intense interest in themselves. Their egocentric view of the world and distorted self-perceptions cause them to put themselves above others − often acting as if they are privileged or extraordinary in some way. Furthermore, when combined with a high degree of recognized expertise and competence in a particular area they believe they are justified in behaving as they do and that normally accepted norms of behavior shouldn't apply to them. So how should you mentor or coach such a personality? There are three things you need to do. Help them see reality clearly. Self-recognition of the need to change is an essential first step; without it, no change can occur. Since the abrasive personality is not self-aware, they are not sensitive to their impact on others. They perceive any problems as being caused by others’ attitudes and behaviors, not their own. Furthermore, since they are often professionally successful, their behavior has been reinforced over time. Hence, they see no reason to change. Objective, data-driven feedback is the only mechanism that will get their attention. The use of a personality assessment that can't be gamed or manipulated is a good place to start. In this real-life situation, the doctor was given an assessment that measures a number of key personality traits and attitudes. The instrument has been validated from a database containing thousands of participants from more than 35 years and 3,000 organizations. 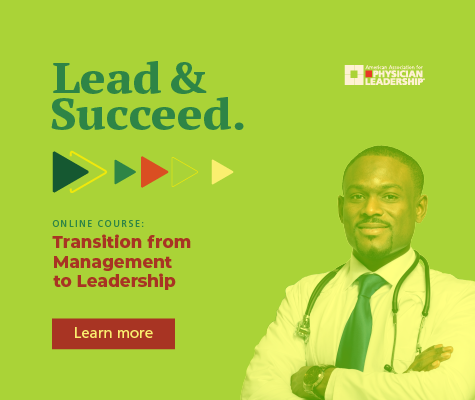 The assessment results were graphically compared to a target profile that reflects the known attitudes and behaviors of a successful physician leader. Healthy scores were depicted in shades of green while areas of concern were in red. The results were sobering; the red scores dominated his profile. Scores that reflected low interpersonal sensitivity and self-control were off the chart. They revealed a personality with an emotional hair trigger and a "lone wolf" attitude, someone who has little interest in working with others unless he is controlling or dominating them. Moreover, his needs for attention and recognition scores were also in the bright red range. In short, it was a profile that grabbed his attention by the obvious mismatch between his personality and the requirements for meeting his professional aspirations. When a self-administered assessment is not practical, then objective feedback from peers and colleagues must be used. These data can be obtained by online instruments that produce a report of the aggregated results of colleagues' assessments. Finally, the results of third-party interviews with colleagues can also be a valuable source of external perceptions. The key is that the abrasive personality must have an objective mirror which reflects back to him how the rest of the world sees him. Objective data are difficult to dispute, and almost always have a powerful impact. Play to their self-interest. Even if the abrasive personality recognizes a need to change, it will frequently be on an intellectual level and won't reflect a "gut-level" readiness that will drive them to change their behavior. For that, they have to have a selfish reason to change. Playing to their self-interest is a two-step process. First, you must identify what they really care about, what they value. In the case of our Dr. Alexander, it was a burning desire to head a neurosurgery department within a prestigious medical academic center. Second, you must tie the desired behavioral changes into those ambitions in a meaningful way. “Given what this says about you, what do think will happen to your goal of leading a neurosurgery department if you don't do anything?" "So, convince me there are advantages for you in making some changes in your attitudes and behavior given what you want to do?" The key point is that you cannot simply tell the abrasive personality why they should care about change; rather it's imperative that they "convince" you that they need to care. They must be the ones to say it, then you reflect it back to them using their own words so that they can hear it again. Having them say it, then hear it reflected in their own words is critical to self-recognition. Take advantage of their competitiveness. One of the most common traits of abrasive personalities is their high level of competitiveness. It is this desire to win, achieve, and dominate that drives much of their behavior. Challenging their ability to change can stimulate their competitive nature and turn it to work in their (and your) favor. For example, with Dr. Alexander, the coach subtly expressed doubt about his ability to do what it will take to change people's perceptions by saying, "I admire your desire to change, but look at all the red scores. Are you sure that you can overcome those barriers? Not many people can do it." Needless to say, the response was immediate: "Of course, I can!" What makes you think that you can change? Have you ever been successful in changing yourself before? How are you going to overcome your own internal obstacles? When and where are you going to start? The flip side of the challenge strategy is to stimulate their fear of failure. Underlying their need for individual achievement is a co-existent fear of failure. Beneath the bold, self-confident and demanding style of the abrasive personality is a fear that they may fall short. Remember, the key to successfully coaching a talented but abrasive colleague is to begin with objective data on their personality and behavior, derived either from the result of their own answers to a proven assessment instrument or their colleagues responses to a structured interview by an unbiased questioner. In most situations the former is preferred, but if it's not feasible, the latter will do. The next step is to use that person's own ambitions to lead them to the self-realization that they must change their behavior to achieve their goals. The final step is to use solution-focused questions to stimulate a desire to change and a commitment to take action. Once the behavioral obstacles to your colleague's success have been objectively documented, it's critical to remember that the follow-on process of getting them to commit to change must be based on questions, not advice. Never forget the first rule of successful coaching: Questions attract, statements repel. Only by asking your talented but abrasive colleague well-formed questions and considerately feeding his responses back to him in his own words can you turn objective data into personal commitment. Remember that at the heart of an abrasive personality is an inflated ego. Don't puncture it; use it to promote change. Robert Hicks is a licensed psychologist and a clinical professor of organizational behavior and founding director of the Executive and Professional Coaching Program at the University of Texas at Dallas. He also is a faculty associate at UT Southwestern Medical Center, and the author of Coaching as a Leadership Style: The Art and Science of Coaching Conversations for Healthcare Professionals (2014) and The Process of Highly Effective Coaching: An Evidence-Based Framework (2017). John McCracken, PhD, is a clinical professor of health care management and founding director of the University's graduate business program for physicians. 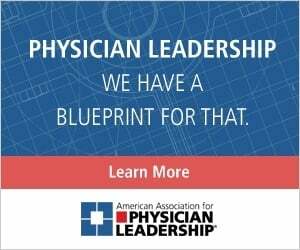 This article was originally published by the American Association for Physician Leadership in 2009.